Sauntering Stitches: It's a ZOO in here! It was fun and very easy to do (especially since I had the items picked out ahead of time). 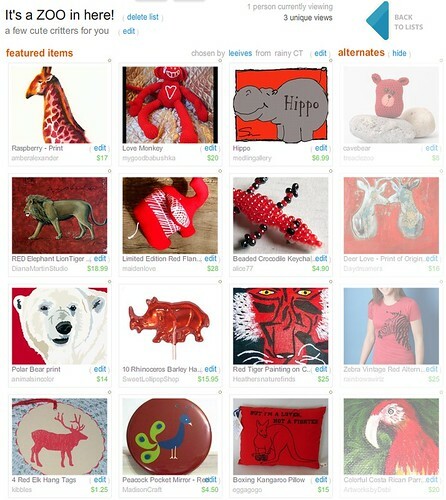 what an awesome treasury! thank you for sharing it!